Having a fear of dentists I was quickly put at ease. Very professional Practice from reception staff, dental nurses and course Stephen himself. 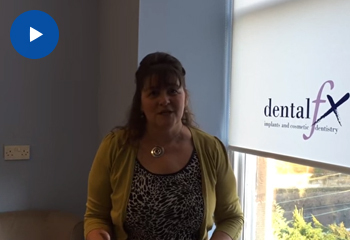 When you come into our Glasgow dental practice for your first appointment, you will be greeted by a member of our friendly reception team. They will be able to answer any questions you may have, and will give you a medical history form to complete (so please arrive in good time to complete this). You can then make yourself comfortable in our modern patient lounge. Your medical history form will enable us to get to know a bit about you, including your dental and medical history, as well as any pre-existing conditions you may have or medications you may be taking that could impact on any treatments your dentists prescribes. You will also have the chance to let us know about any dental issues of concern, and your wants, needs and expectations from treatment. You will then be taken in to meet your dentist. They will carefully examine your teeth, gums and surrounding structures, including providing a mouth cancer check as standard. Your dentist will also take photographs and x-rays as necessary to aid with diagnosis. If we find you need further treatment, your dentist will explain their findings to you and will talk you through the various treatment options available, helping you to make an informed choice. Once you have decided together what treatment is best for you, your dentist will create a detailed treatment plan, including the anticipated length and costs of treatment. Patients who have come to our Glasgow dental practice for cosmetic dental treatment will also have all the options explained to them after a detailed clinical examination. If you have been referred to us by your dentist for treatment with dental implants, we will make an appointment to touch base with you and will go through all the admin details with you, including checking your details and confirming payment options.